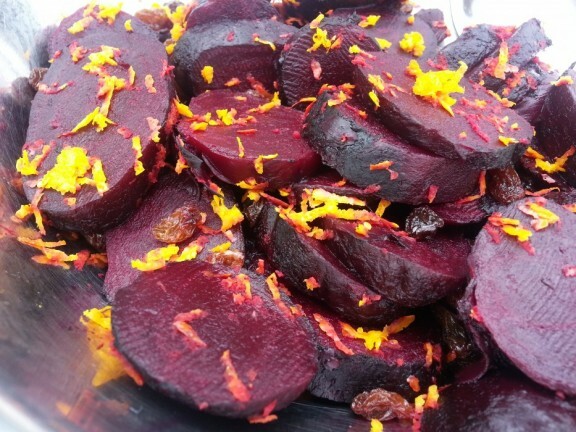 Honey Roasted Gammon, Legs of Lamb Barbecues and more…. Indoors or out, guests from 30 to 3,000 – we cater for all types of events from private parties and weddings to prestigious corporate functions. Our quality and service cannot be beaten. Our barbecues can include burgers, sausages, kebabs, chicken pieces, steaks, spare ribs, belly slices and lamb steaks. And many more, including vegetarian options! A range of different glazes are also available (these glazes can also be purchased at our Briston Butchers shop). H.V. 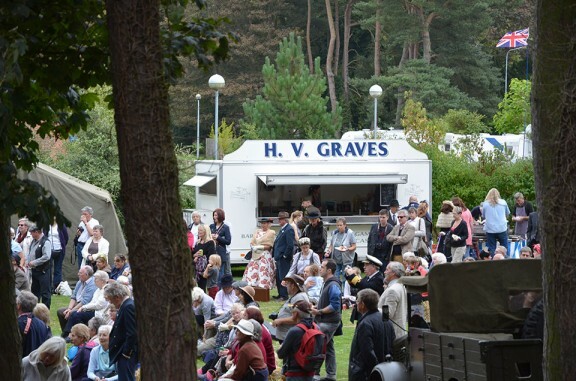 Graves have over 12 years’ experience of Hog Roast Catering and are proud of the enviable reputation that we have gained through providing great service and delicious food. 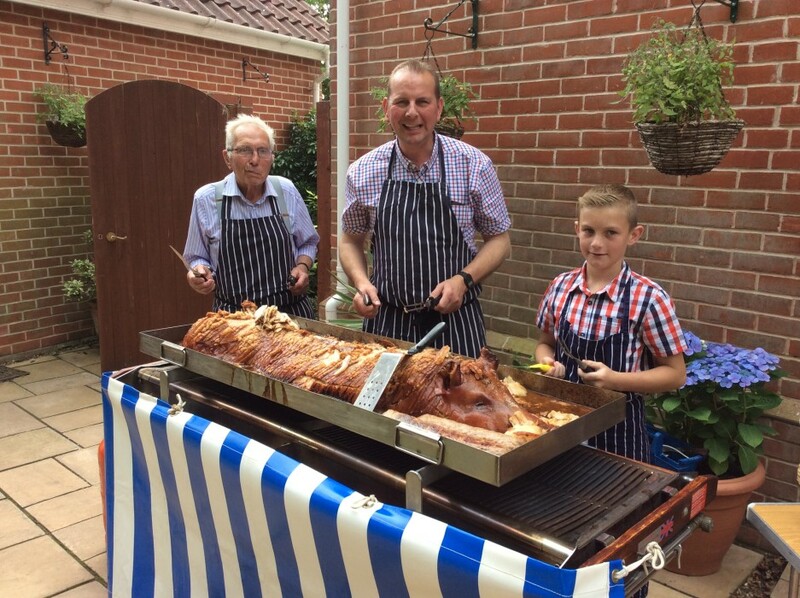 Dear Graves Butchers, on behalf of my family, relatives & friends I would like to say a big thank you for supplying the excellent hog roast meal at our son’s wedding, Southrepps Village Hall. May we pass on the good comments received. Thank you so much. Regards, Mr & Mrs Rayner. We use only locally reared pork and beef, roasted in our own bakery ovens. This is how we can guarantee that all of our products are cooked to perfection. Our customers happiness and satisfaction is of paramount importance. Your event is guaranteed, with high quality food and reliable top – class service, leaving you to relax and enjoy the occasion. We serve in traditional butchers aprons with a cheery smile. 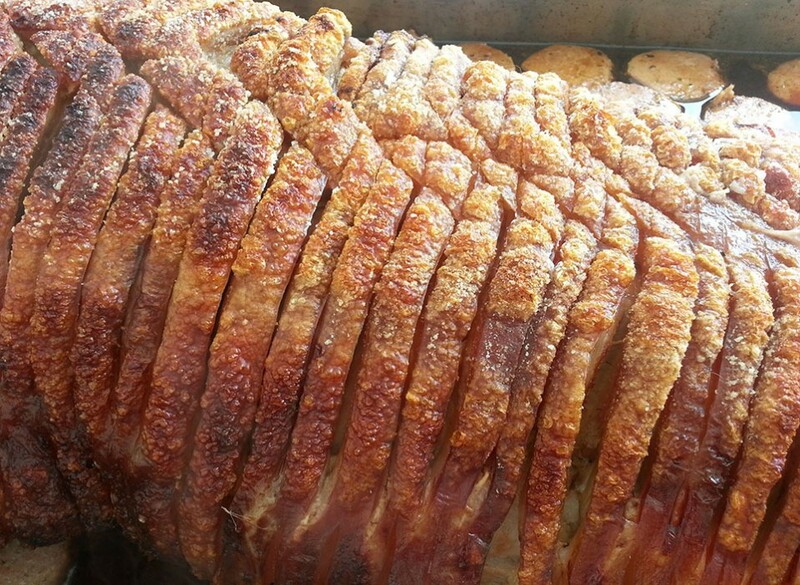 Our standard hog roast package includes stuffing, apple sauce and fresh bread rolls from our own bakery. Napkins are also provided. The hog and service were excellent and we look forward to a repeat of such a successful event next year. Meanwhile a big thank you to you and your staff for looking after us so well. Tricia Hickey. But isn’t a hog roast messy? Yes, we can serve roast inside. Even if your home has antiques and precious tapestries. We do not produce any smoke. You do not need to worry. Our ‘NO MESS’ policy means we leave your property as we found it, and never leave any mess on the carpet or floor. We are also experienced at working with resident staff or other hired event caterers. Our superb fleet of purpose-built vehicles means that we can cater for any size or occasion. We don’t just roast hogs! You can have succulent roast lamb, gammon or beef ribs or even a mixture. All our meat is premium quality. 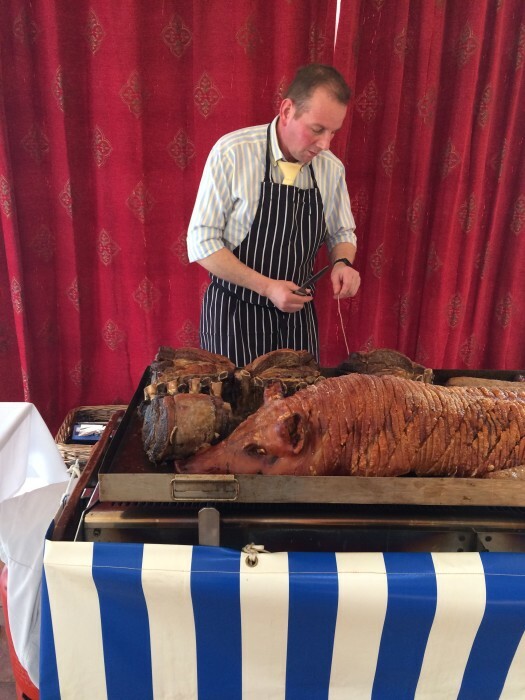 No matter what your requirements, we can always adjust our hog roast packages to suit your budget and specific needs. We can cater for most groups of people. 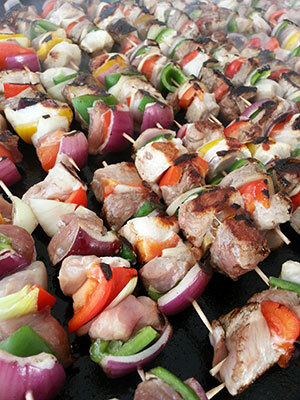 We have catered for parties ranging from 30 to 3,000 guests. There really are no limits! If I only have 30 people, can I still have a pig? Yes of course you can, but obviously it works out a little more expensive per head. 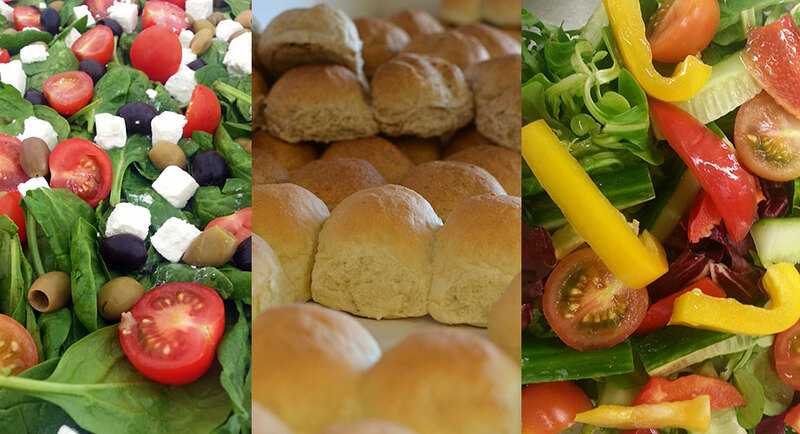 We can also offer lovely fresh salads and delicious desserts – all home-made of course! Others are available and salads can be prepared to your specification. Roasted new potatoes (in olive oil). These can be flavoured with sea salt, rosemary, mint and other ingredients. 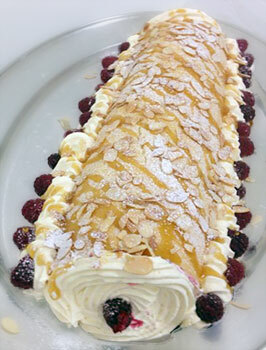 A range of desserts are available and again, these can be provided to your own specification. If you can think of something else you’d like, let us know. We can tailor make a catering package to suit all needs. Please give us a call on 01263 860333 or 07774 990846 to discuss your events special requirements. We cater for weddings, parties, corporate events, sports and charity fundraisers of all kinds. The committee and members of North Norfolk University of the Third Age would like to thank you all for the superb buffet lunch you gave us at High Kelling village hall. We have since received numerous comments praising the food and service you provided. There was more than sufficient excellent food for everyone who came and the friendliness and helpfulness of the staff was remarked upon. We will certainly keep the name of your firm in mind for any future events we may have. Margaret Parrish.